With the conclusion of The Witches of the Sphinx, Nogami informed me that he had no further plans to do another “World Witch” related project, at least as of now. This left me in an odd spot. People have been pestering me to do original land battle witches related material for quite some time. After completing The Witch of Capuzzo, I finally felt I was ready to run with a few ideas I had in my mind, but then there’s no convenient means through which I can release the material. So I decided to make one myself. Introducing, the 8th Panzer Regiment. 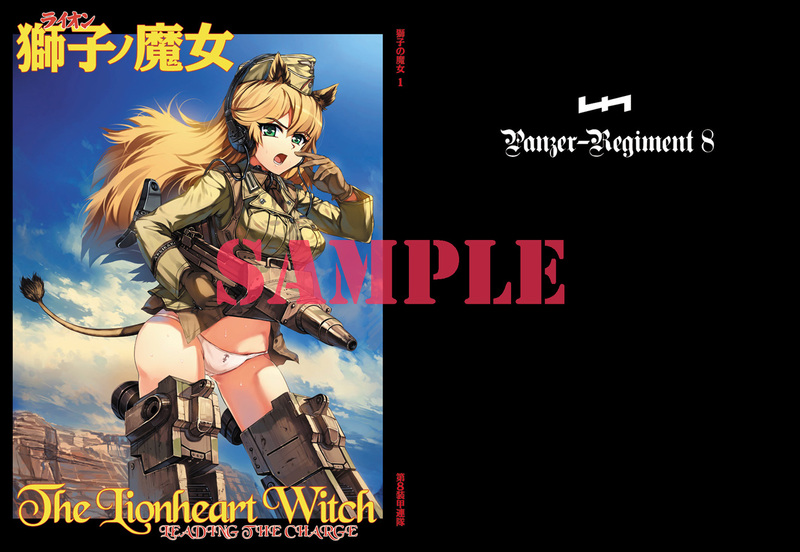 8th Panzer Regiment is Dan Kanemitsu’s doujinshi publishing group and The Lionheart Witch ~ Leading the Charge will be its first major book. 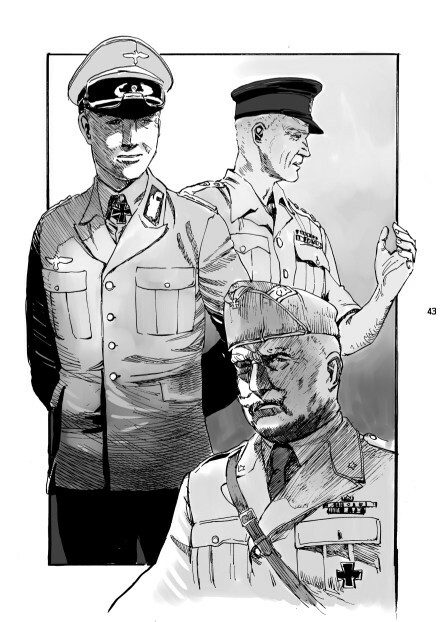 Others have been very generous to contribute toward this project, as you can see below, and while Nogami participated in this first book, people should not think he is a permanent member of the 8th Panzer Regiment. He runs Firstspear, and he is plenty busy with that. I strongly requested for Nogami’s presence in this first book, but I can’t be too imposing on him, so I have no idea if he can participate in the future. 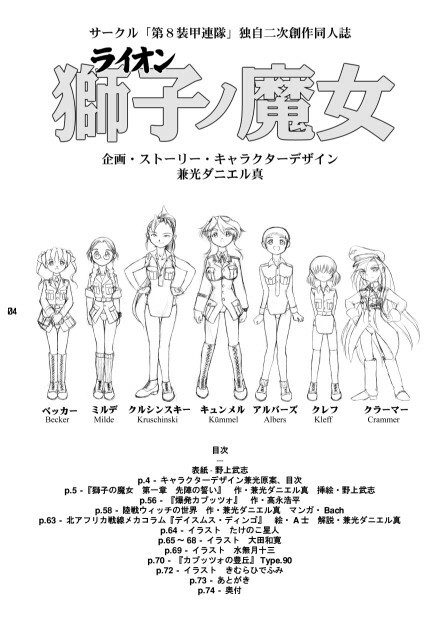 “The Lionheart Witch ~ Leading the Charge” is written entirely in Japanese. I wanted to include an English translation, but I simply ran out of time. Also, since so many people have been asking for electronic distribution of an English translation, and since the majority of this book is in text, I may attempt to release an online International edition, where people can contribute financially if they wish to do so. I might do an special limited English only printed edition, but that’s all up in the air. The project has to be successful in Japan first. 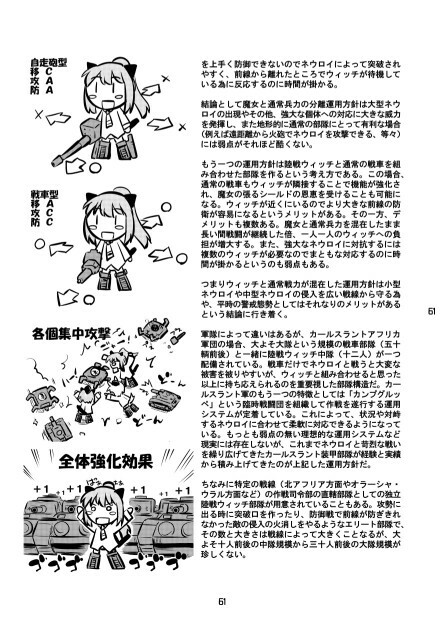 After all, this is a Japanese doujinshi, aimed toward a Japanese doujinshi audience. But don’t despair. It’s not like I don’t want to do an English version. I simply need to do this slowly and carefully. After all, this is a very different undertaking from what I’ve done in the past, so I need to learn to walk before I try running. To commemorate the publication of this book and the launching of my own land battle witches themed doujinshi publishing circle, I’ve decided to publicly release the entirety of my last novella, The Witch of Capuzzo. I hope you enjoy it. 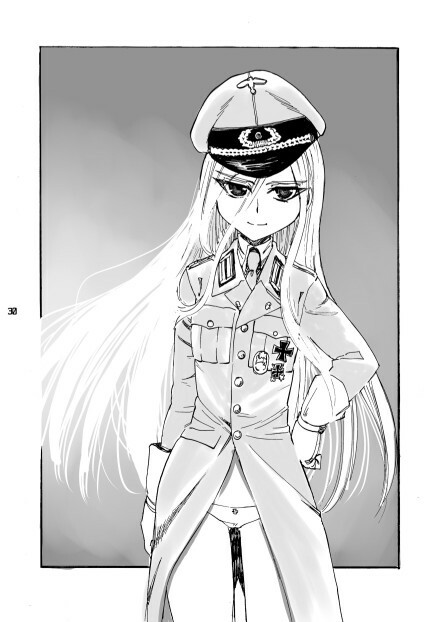 As with The Witch of Capuzzo, The Lionheart Witch features Captain Hannelore Kümmel of Karlsland. The first installment, “Leading the Charge,” begins with the 1940 Battle of Arras and how Kümmel and her witches were able to cooperate with Miles of Britannia in beating back the Neuroi so refugees could evacuate to safety. It then skips ahead to 1941 as Rommel leads the Karlsland Afrikakorps into battle in North Africa. Kümmel, now belonging to the 15th Panzer Division, is part of a force assigned take Halfaya Pass in order to break the siege that the Neuroi is laying on Tobruk, where Miles and other units of Britannia are holding out desperately. The story ends right before the First Battle of Fort Capuzzo takes place. The next installment, hopefully to be published this autumn, will tell the story of how the Neuroi’s stranglehold of Eastern Cyrenaica is actually broken. 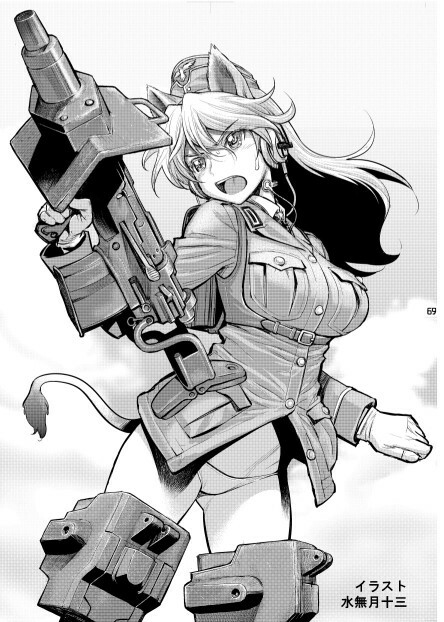 Besides my novel accompanied with illustrations by Takeshi Nogami, The Lionheart Witch ~ Leading the Charge also features original material by Acea4, Bach, Hidefumi Kimura, Juzō Minazuki, Kazuhiro Oota, Red Bear, Kōhei Takanga, Takenoko Seijin, and Type 90. The book is for all ages, but recommended for mature readers. The book will cost 1000 yen at doujinshi marketplaces and roughly 1200 yen at doujinshi consignment shops. Wish me luck! If this book doesn’t do well, it won’t bode well for my aspirations toward helping to keeping the light burning for land battle witches. 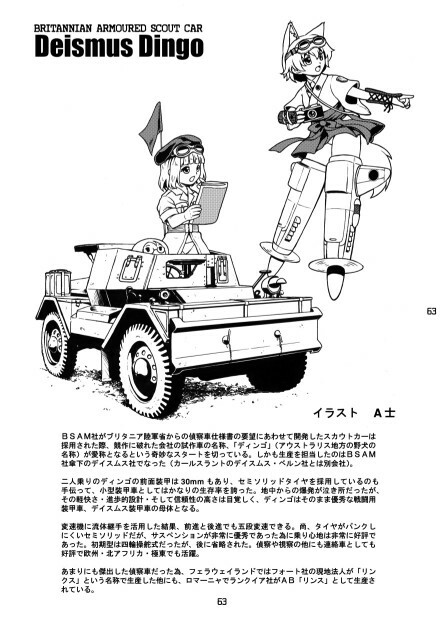 This entry was posted in 8th Panzer Regiment (doujinshi circle), doujinshi, The Lionheart Witch. Bookmark the permalink. Hope to see an English edition of 8th Panzer. If you make it, I will buy it. Also hope to see a published edition of Witches of Andorra in English. 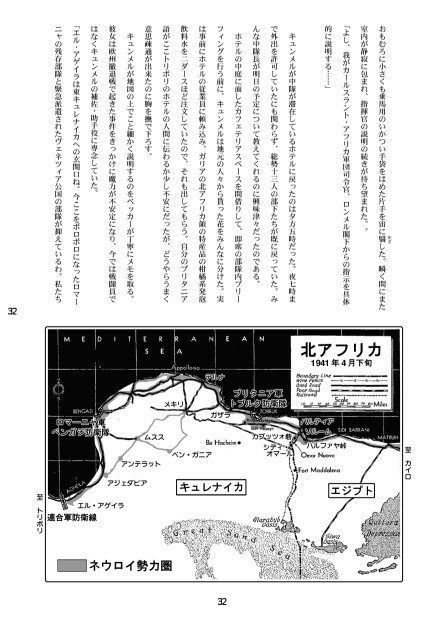 I know Andorra is available to read online at NicoNico, but I would love to have a copy to hold in my hands. Ever thought about selling it on Doujin Press? So anyway how was the sale? I would be happy to get it from Manga Pal, which was where I bought all of the Witches of the Sphinx and Tigers of the Desert. Hopefully, we’ll see 8th Panzer there. I’ll have to talk to the people at Manga Pal, but since this book does not have any English, it might be tricky. I would like to solve this problem first before figuring out how to sell the book overseas. Thank you. I am thinking about various different operations. Since I have a lot more control over this series, I would like to do things different regarding English translation. I haven’t forgotten about it, but I am simply a little too busy. 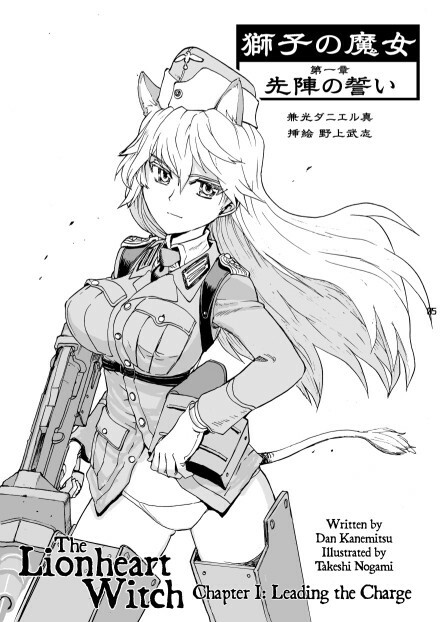 Hi again , when this comes out in english let me know as i will be credit card in hand lol , wish there was more strike witches in translated or dual language form , if well advertised ( or even in the right places) they would be very popular.